Minister of Labour and Productivity, Mr Chris Ngige. 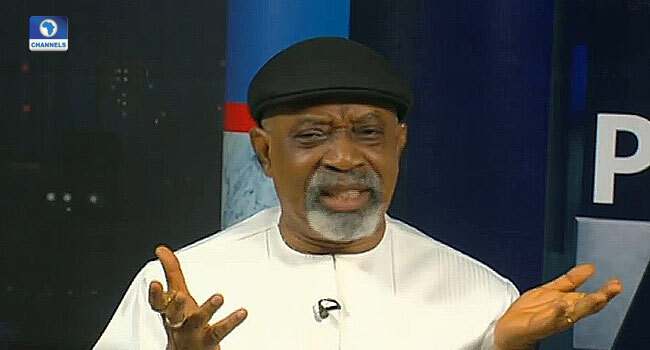 The Minister of Labour and Productivity, Mr Chris Ngige, says Nigeria is still a third world country and should not be compared with the economies of the United States of America, Canada and the United Kingdom. Ngige said this on Friday, during his appearance on Channels Television’s Politics Today, in reaction to the lingering controversy around the national minimum wage. But the minister maintained that those countries are developed and should not be compared to Nigeria. He said, “UK, Canada, US are called developed economies. We are still a third-world country. Why are you generalising everything?” he asked. “You don’t have to generalise (because) not everything is purchased in Dollar. It is a very dangerous analysis to do. He further stated that the Federal Government is working to balance the capital and recurrent expenditure by 35 per cent. Speaking about the ‘no work no pay’ policy, the minister said it wasn’t established by the current administration and it dates to 2004.